It is time to make American history come alive for your teachers and students! Join this webinar to hear about Pearson’s partnership with Colonial Williamsburg. Learn about our customizable professional development and thematic digital education materials that inspire students to understand their civic responsibilities and become active citizens in our Republic. Pearson’s Grants and Funding Manager will also discuss funding options and potential grant opportunities. Go to this link to register today! Grace Stopani has led Pearson’s Grants Team for 8 years. Her team seeks to find alternative funding options for school districts in a difficult economy. History Education Hawaii, Inc., is united with the National Council for History Education in promoting the teaching and learning of history. This is accomplished through a wide range of programs and activities designed to bring elementary and secondary teachers, college and university professors and public historians together. NCHE has councils in more than thirty states that work to promote excellence in history education. Among those is History Education Hawaii, Inc., (HEH) formerly the History Education Council of Hawaii, which was founded in 2006. Both NCHE and HEH members are united in a belief that history plays a critical role in the K-12 curriculum by providing the knowledge and skills needed to succeed in college and the workplace. Today, History Education Hawaii is asking Hawaii’s history educators, historians, history buffs and history students throughout the state to contact Senate Daniel Inouye’s office to express continued support for the funding of the Teaching American History Grants (TAH) program. Funded at $119 million in FY 2010, more than 1,000 grants in all fifty states have been awarded since the program was established in 2002. TAH grants have provided history and social studies teachers with high quality, university-based professional development that has benefited tens of thousands of students across the nation, including Hawaii. This critical initiative must be sustained. In the 1990’s a “Crisis in History” was identified and continues to persist. TAH was started to address the crisis. Currently, TAH continues to be the only program focused on professional development in history to receive federal funding. If American students are to succeed in the global market place of the 21st Century, it is the teaching of history, science and other core disciplines that will stimulate interest in academics and prepare students for their future. Rigorous and relevant history curricula can—and does—emphasize reading skills while imparting important knowledge and skills. Please contact Senator Inouye’s office by going to www.senate.gov today. There is a need of such a “people’s institute” in Honolulu, where competent instruction at nominal cost may be offered to Honolulu’s working population. Such an institution should, it is true, arise out of the initiative of the workers themselves, but history indicates that social improvements are born in the brains of idealists set going by the public-spirited and philanthropic, and finally supported and made use of by the intended beneficiaries. The inertia of populations is one of the marvels of sociology. A sensible beginning would be the promoting of a few evening classes in some accessible downtown place to which all might come without embarrassment. The courses would have to be simple, perhaps, but thoroughgoing, and subjects such as had popular appeal. It would be necessary to select the teachers with extraordinary care. None of the sort that students call a “sleeping porch” could succeed. The dry-as-dust, dehumanized academic bore who often holds forth in college halls could not survive and hour in a people’s institute. A genuine interest in human beings and the ability to communicate enthusiasm for his subject would be as essential in the teacher as knowledge of the subject itself. Some day, perhaps, the flame of adult education will blaze in our streets, and the people will begin to go to school. Where is there a better place to go? Where a place than can offer so much of the joyful sense of growth? Honolulu may have a “Cooper Union,” and other places, too, have people’s institutes of their own. 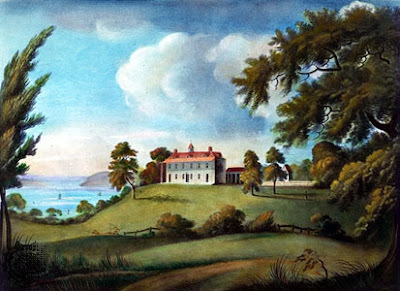 As our readers are doubtless aware, an enterprise has been started among the ladies of the United States to raise two hundred thousand dollars for the purchase of “Mount Vernon,” where Washington lived and died. It is designated to fit up the establishment as nearly as possible in the style in which it was left by the father of his country. The Hon. E. Everett, it is well known, has become deeply engaged in the enterprise. In behalf of the Fund, he has raised $40,000 by the sale of tickets to hear his Oration upon Washington’s character. He has delivered his oration seventy times, and promises to repeat it seven hundred and seventy times more if the people will pay their money for the purchase of Washington Domain. Report says ladies of Honolulu are collecting subscriptions to add their quota to the General Fund. We have not heard how they succeed; but we say, success ladies, to your enterprise. No doubt success will crown your efforts. The name of Washington is very popular in Honolulu, for we have our “Washington Place,” and portraits of him who was “first in war, first in peace,” &c., hang in almost every dwelling. George Washington was a starched and be-wigged aristocrat of the old English school who, in his mature years, threw class privileges behind him and became a democrat. Though brought up with reverence for kingly power he not only made single-minded war upon his sovereign to establish popular rights but he refused the crown of the people’s empire he had helped to found and, by declining a third term in the presidency, set a definite limit to the ambitions of the Executive. Herein lies his title to greatness –his right to be remembered by the nation on the 22d day of February of each year. He was not one of the world’s great generals. Usually he was beaten or foiled in battle and but for the timely aid of the French he might have lost the war. The constructive statemenship of the revolutionary period may be credited, chiefly, to Franklin, Jefferson, Hamilton, and the elder Adams. But Washington was needed to keep true the great purpose of the revolutionary movement and he did it when everyone else seemed to falter. As President he continued the work begun in the field; and to him may be credited the refusal of the infant republic to invite the peril of a second war with Great Britain when Citizen Genet came to plead for it in the name of America’s old ally, the French King. As the typical democrat in his politics if not in his antecedents; as patriot who never despaired of the republic; as the firm and incorruptible administrator, Washington found a part to play which abler generals and more brilliant statesmen might not have performed so well. And as time goes on one realizes more strongly how important it was to future generations and to the world, to have the destinies of the revolutionary movement in such hands. Had Washington been a Caesar, who always won his battles, or a Bismarck, who played with chancellories, the new republic might have taken an irretrievable roads towards militarism and a disturbance of the peace; but the nation was chastened on the way to its triumphs and so became content with the isolated place in affairs and the quiet growth in strength and virtue which were needed to fulfill its later missions. For more than two centuries, the White House has been the home of American presidents. A powerful symbol of the nation, it is a uniquely private and public space. Since John and Abigail Adams first moved into the “President’s House” in November 1800, hundreds of individuals have worked behind the scenes to help the White House fulfill its roles as a seat of government, a family residence, a ceremonial center, a museum, and an historic building. Witnesses to history and active participants in the nation’s story, White House workers are a close-knit community, sharing a distinctive work culture in an exceptional work environment. The Working White House from the White House Historical Association explores the occupational culture—the stories, traditions, memories, and skills—of the men and women who have operated, maintained, and helped preserve the Executive Mansion, including many African Americans. The month of February each year traditionally marks Black or African American History Month. History Education Hawaii takes this opportunity to call to your attention a few of the many historical enrichment resources available on the Internet. The Library of Congress, National Archives and Records Administration, National Endowment for the Humanities, National Gallery of Art, National Park Service, Smithsonian Institution and United States Holocaust Memorial Museum join in paying tribute to the generations of African Americans who struggled with adversity to achieve full citizenship in American society. Go to this link. 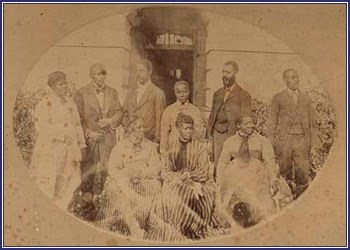 The American Memory Project with the Library of Congress includes 17 collections focusing on African American history. These include Jackie Robinson and Baseball; the Frederick Douglas Papers; Voices from the Days of Slavery; the Zora Neale Hurston plays, and much more. Lemuel Haynes was probably the first African American ordained by a mainstream Protestant Church in the United States. Go to this link at PBS. Also, see this link with more biographical information. Rev. Jones was the first African American ordained as a priest in the Episcopal Church of the United States. Go to this link for a biography by James Kiefer. Here is another one from Blackpast.org. Today's Honolulu Star Advertiser reports that an increasing number of Hawaii students are earning college credit through Advanced Placement (AP) exams. Go to this link to read the entire article by Mary Vorsino. "Some 1,001 seniors in Hawaii public schools scored high enough on Advanced Placement exams last school year to get college credit, up 60 percent from 2001. "But Hawaii still ranks well below other states in the percentage of public school seniors earning college credit via AP courses, according to a report released yesterday from the College Board, the nonprofit that administers AP tests." "In Hawaii, the most popular AP courses for the class of 2010 were English language and composition, English literature and psychology. "Just one Hawaii senior took an AP physics course that concentrates on electricity and magnetism. Two students took AP Chinese and three took Japanese." History Education Hawaii strongly encourages more Hawaii students to pursue AP credit through history courses and exams. The bright flush of hope, or fond memory's sigh. While he sleeps securely-'tis Washington's grave. In noon-tide's full splendor on Washington's grave. The life which He gave, and recalled as His own. The shrine of a nation is Washington's grave. A tribute of praise on this festival day. Shall be kindled anew, in fond memory turning. From the deck of the 'Leland' to Washington's grave. The 22nd of February did not pass without a becoming expression of patriotic feeling and filial respect for the memory of him whom millions have delighted to style, "The Father of His Country." On board the Brandywine flags were displayed and national salutes fired at 8 and 12 o'clock. In the evening, George Brown, Esq., U.S. Commissioner, gave an entertainment to American citizens and other foreign residents. There was a numerous attendance of the highest respectability. Most of the families of the American Missionaries, Commodore Parker, and officers of the Brandywine, English and American Consuls, together with numerous other gentlemen and ladies. Mrs. Hooper, lady of the American Consul, presided on the occasion. The portrait of Washington, the Declaration of Independence, and the American Eagle, were made conspicuous, while American, English, French, and Hawaiian Ensigns were tastefully displayed in fitting up the honorable Commissioner's apartments. It proved a pleasant season for the foreign residents to exchange kind salutations and social greetings on these distant shores which were unknown to the civilized world until about a half century after the birth of the IMMORTAL WASHINGTON. Source: The Friend. Honolulu: March 1845, page 37. The Hawaii Judiciary History Center is asking for help from history educators, historians, history buffs and students. Please help support civics and law-related education in Hawaii! Last year the Hawaii Judiciary History Center asked for submissions of testimony to the Legislature in support of the Judiciary's budget. The overwhelming response was instrumental in saving the History Center's programs. Time is of the essence. Your testimony must be received by Monday, February 7, at 4:00 p.m. It does not have to be lengthy. (See sample testimony at the bottom of this page). This year House Bill 300 (HB300) is the Judiciary's budget bill. The bill is scheduled for a hearing on Tuesday, February 8, at 2:00 p.m.
History Education Hawaii is asking you to submit testimony electronically or via fax in support of HB300 to Representative Gilbert Keith-Agaran, Chair of the House Committee on the Judiciary. Your testimony is critical to the Judiciary History Center's continued funding. You may submit testimony electronically through the following link: http://www.capitol.hawaii.gov/emailtestimony/. Once you get to the link enter HB300 in the field marked number one. Hit enter and complete the other fields. If you are unable to submit testimony electronically, you may fax it to 586-6211(Oahu) or 1-800-535-3859 (Neighbor Islands). Mahalo for your help. If you have any questions, please feel free to call the Hawaii Judiciary History Center at 539-4999. I am writing in support of HB300, which includes funding for the Judiciary History Center. Thank you very much for considering my testimony in support of HB300. Space, though limited, is available for The National Humanities Center's Live, Online Professional Development Seminars for History and Literature Teachers. Go to this link and sign up today! Hawaii educators are strongly encouraged to participate! The National Council for History Education (NCHE) has announced that the February 2011 edition of History Matters! has been released. Go to this link to download the pdf-formatted version. - From the National Archives: Fighting for Fairness- The FEPC and WWII. - Professional Development for World History Educators. -Gilder Lehrman Institute's Primary Source of the Month. -Words from a Master Teacher. -Resources from the Center for Civic Education. We've reported earlier that K-12 history, social studies and English teachers are invited to apply to the Gilder Lehrman Institute of American History 2011 Summer Seminars. Taught by renowned historians on college campuses in the US and the UK, these one-week seminars give educators the opportunity to deepen their knowledge of topics in American history—while gaining practical resources and strategies to take back to their classrooms. The application deadline has been extended to February 15, 2011! Go to this link to apply today.